Quality Diatomaceous Earth food grade contains silica of about 84% – 89% and the other remaining percentages are sodium, iron, and other trace minerals such as titanium, boron, manganese, copper and zirconium…etc. If you are wanting to purchase Diatomaceous Earth food grade then make sure you’re getting a quality product. Because of the different mining processes and locations, the percentages will very. DE containing 86% Silica will be just as effective as DE containing 89% Silica. You will know that you have purchased poor quality DE if the shell flour looks any other color than white to slightly off-white. Canadian, Food Grade is the highest grade and is finer and cleaner than what is mined in the U.S. or elsewhere. It also has more Calcium Bentonite, which is the heavy metal/radiation, de-tox factor. It is all we sell. There is no difference in price. Straight calcined (heated), mined from fresh and salt water, which is used as pool filters and beverage filters like beer, juices, and even oils. Flux Calcined, (heated) treated differently, but like above for filtering. 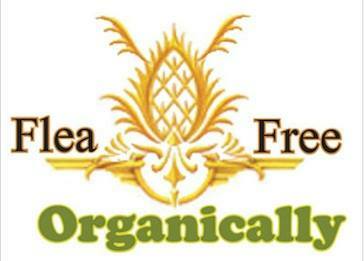 The food grade is mined in its natural form and processed to rid it of unwanted dirt and other materials. The non-food grade can be mined from fresh or salt water bays or estuaries, dried and then heated at high temperatures to increase the crystalline content to help it aid in the filtration process. These diatoms still grow in freshwater and saltwater lakes and bays and feed on dissolved silica or silicon dioxide. This gives them their crusty outer shell that we desire so much. Mostly volcanic ash is the source for these diatoms which falls into the water and is partially dissolved. 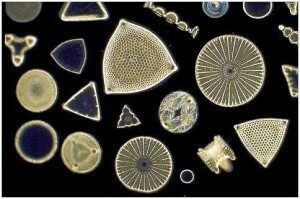 When the silica is depleted, the diatoms die and the shell falls to the bottom of the lake where it sets on top of many other layers of diatom shells and volcanic ash and sometimes limestone. When another volcano erupts the diatoms start to populate repeating the process all over again. The life span of a live diatom is about 6 days. The non-food grade is harmful to animals and humans. So stay away from this stuff unless your purpose is to filtrate. Dispose of it properly.